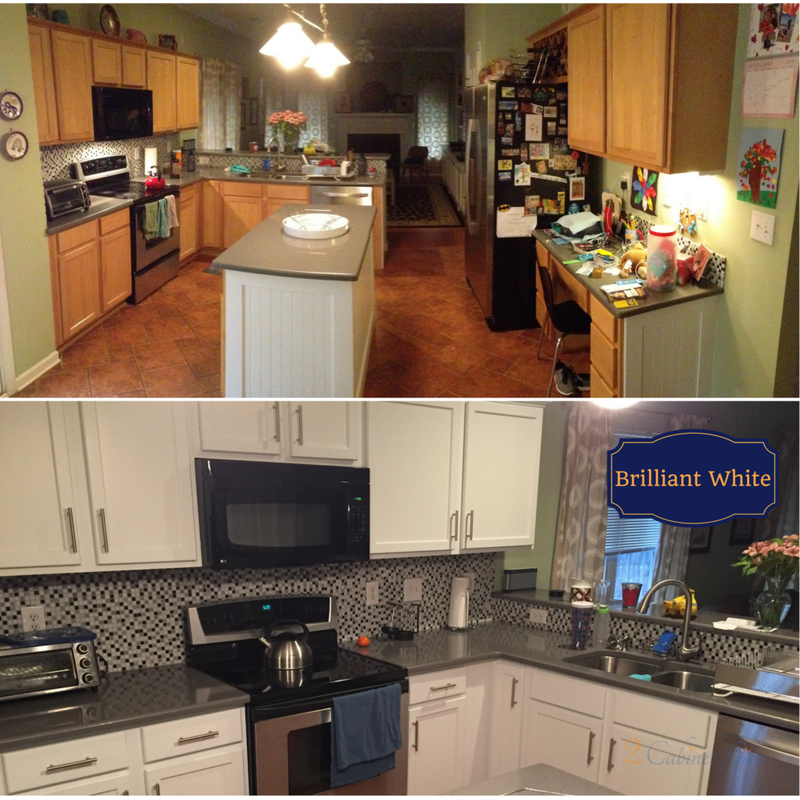 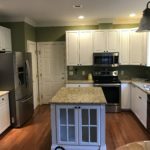 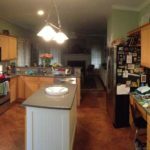 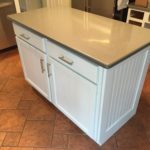 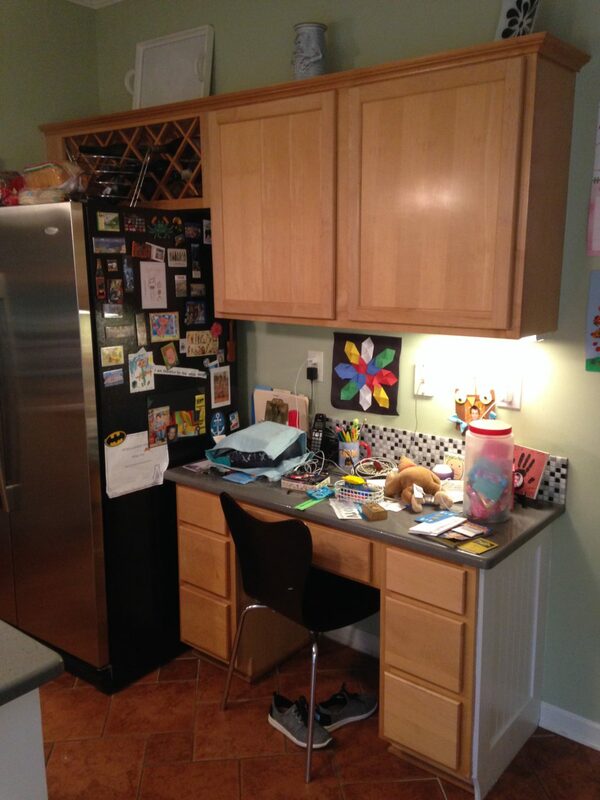 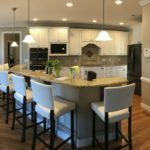 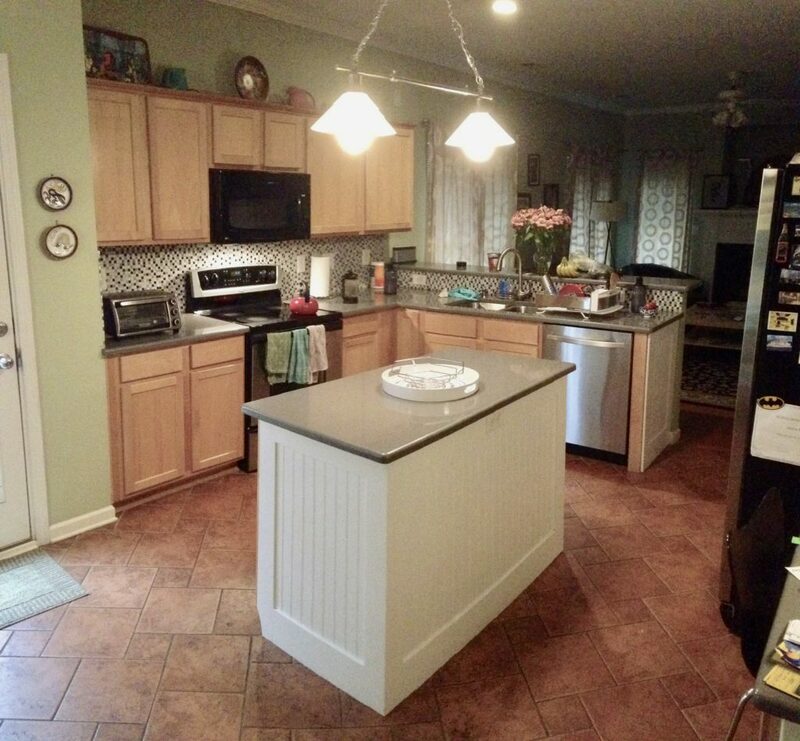 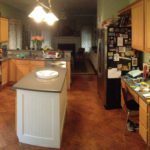 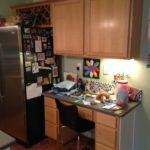 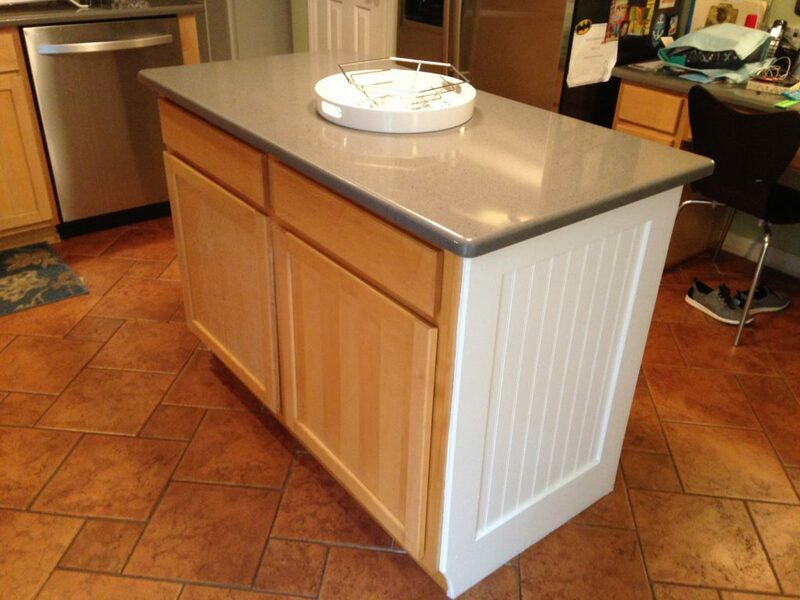 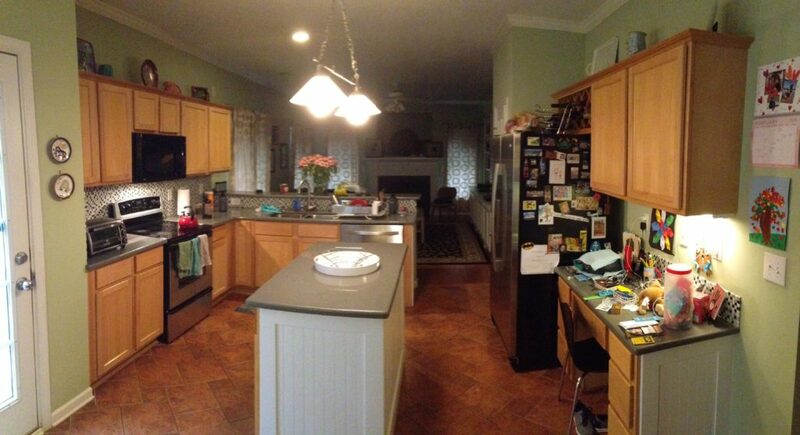 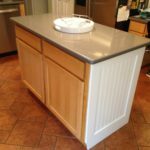 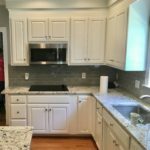 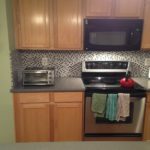 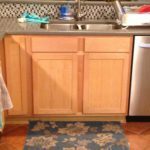 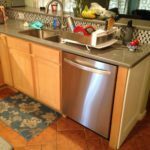 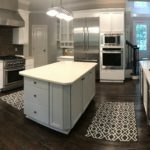 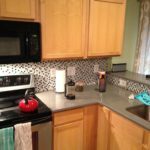 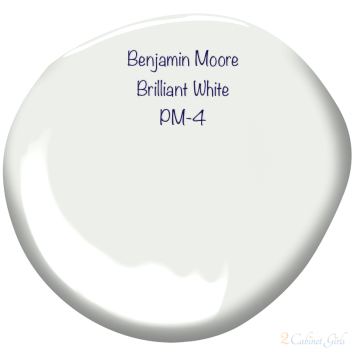 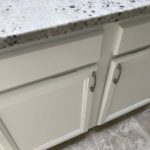 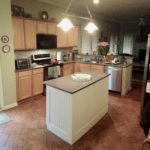 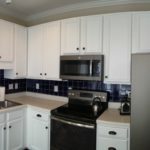 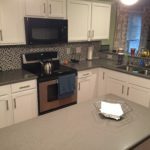 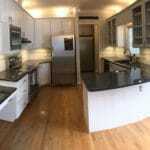 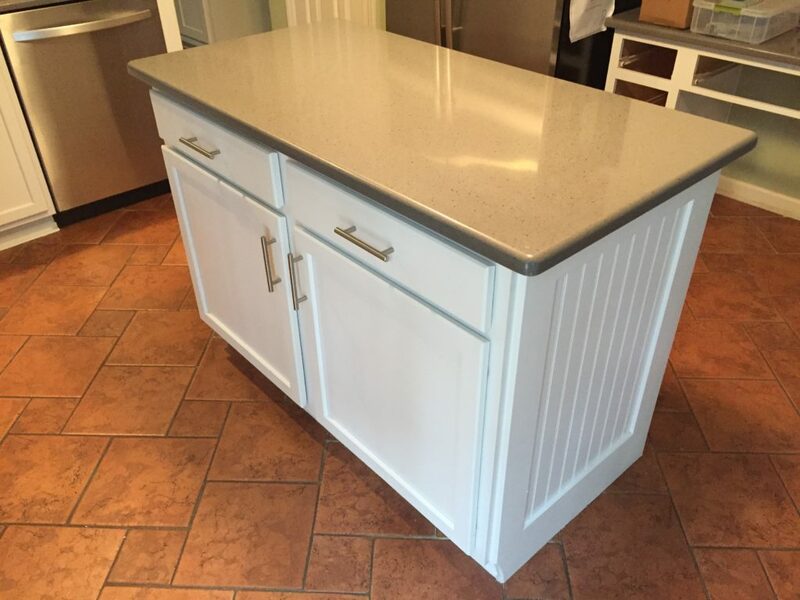 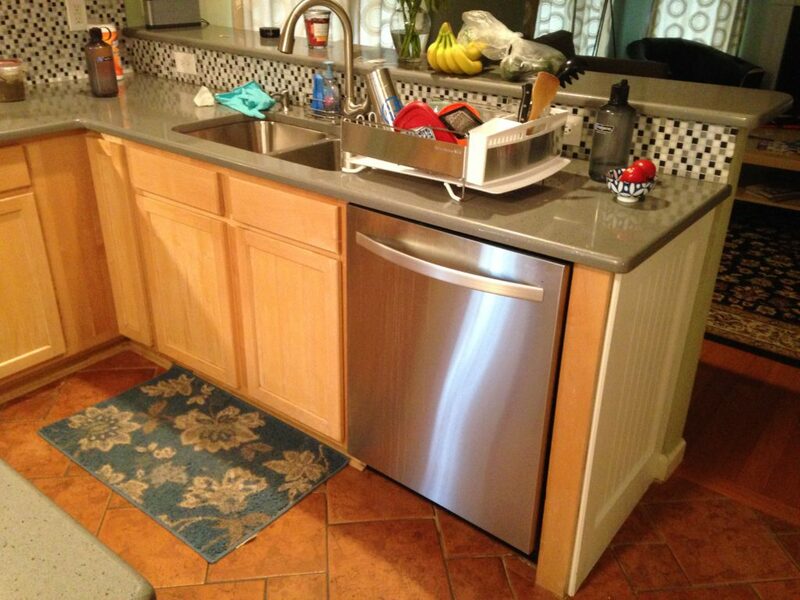 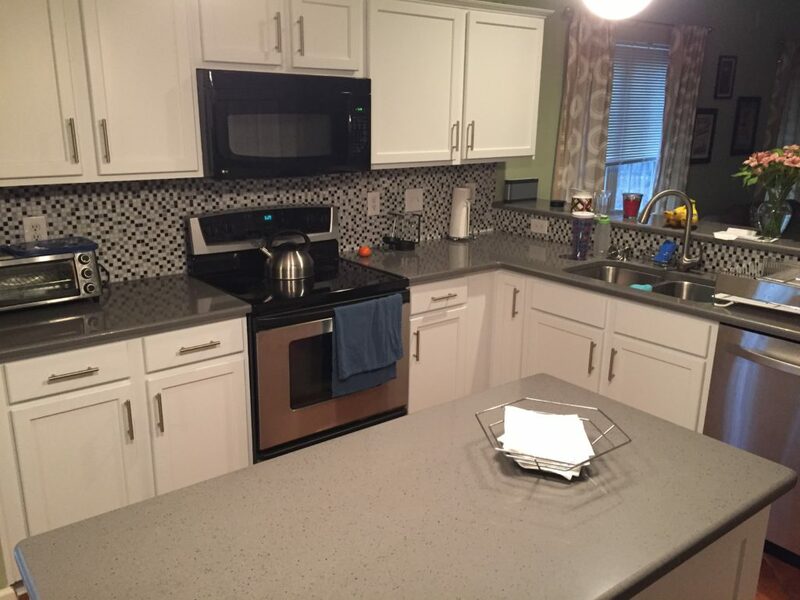 Adding Benjamin Moore’s Brilliant White paint to these kitchen cabinets not only brightened up this dark space, but it also helped to neutralize some of the orange tones in the wood and floor that were battling with the backsplash colors. 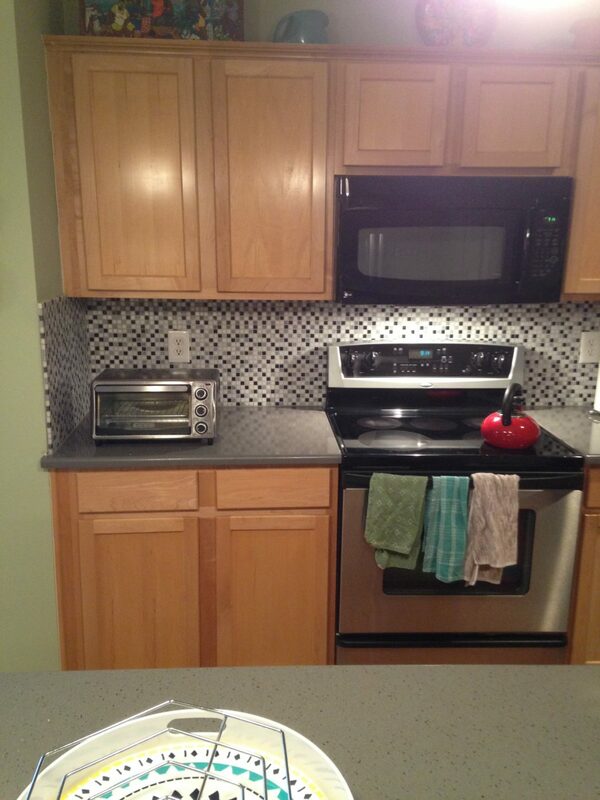 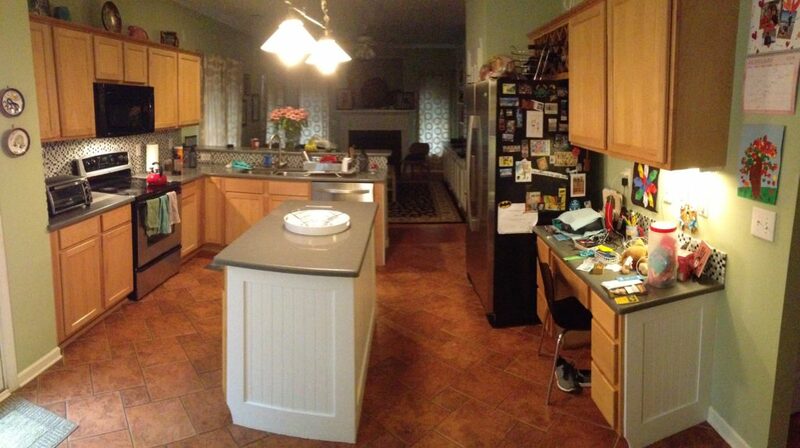 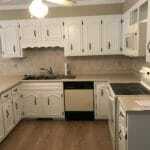 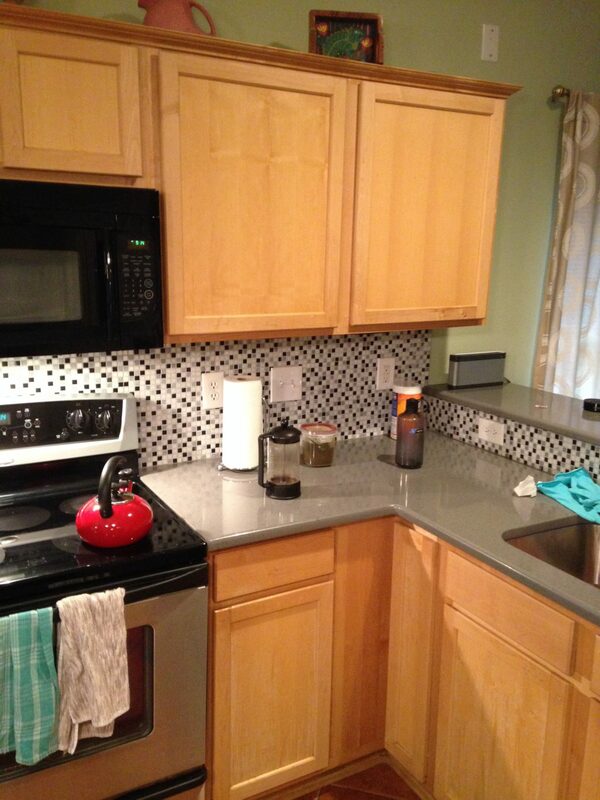 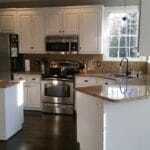 Now the cabinets are the perfect backdrop to the gorgeous quartz counters and glass tiles. 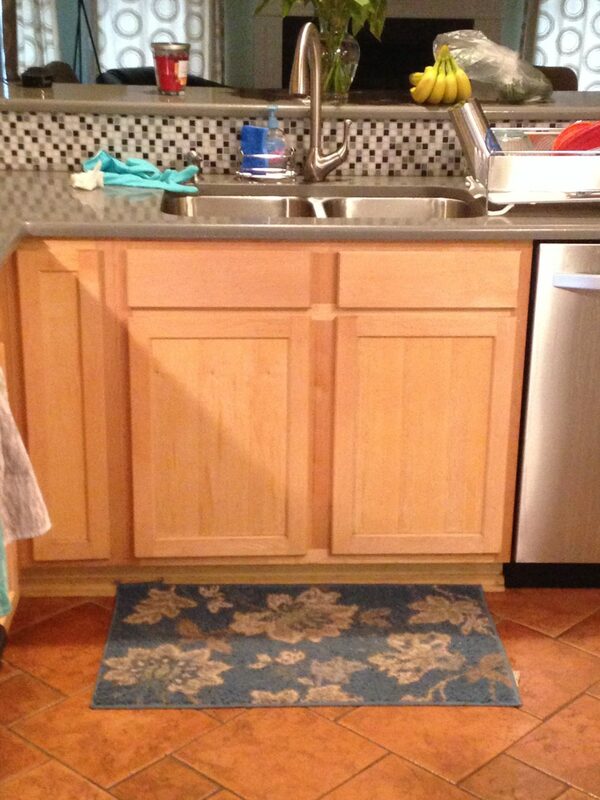 Adding new bar pulls on the doors and drawers added a modern look too!